The APT system uses high bandwidth (~ 34 kHz). If you are looking to get nice looking images, you need to have a wide receiver bandwidth. Lower communications receivers have much lower bandwidths, and so much of the high definition is lost. 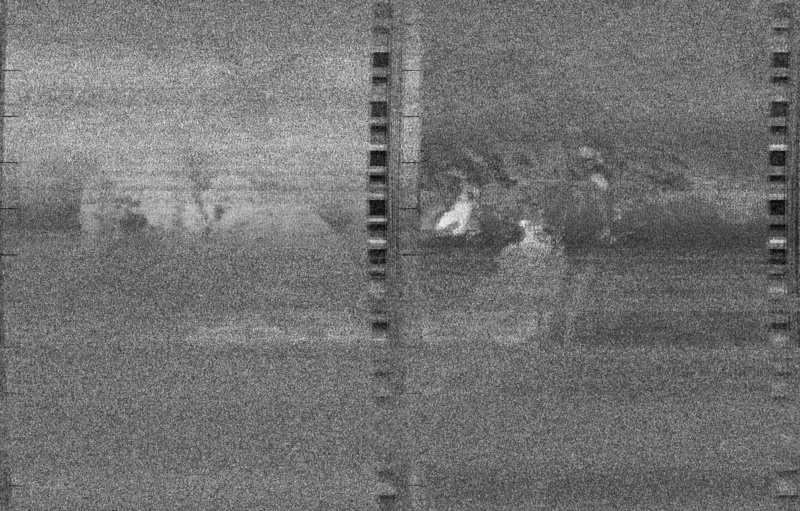 At the moment, I am using a Yaesu FT-857D communications transceiver with a bandwidth of around 2.5 kHz (13.6 times too small) and so the quality of the received images is not good. 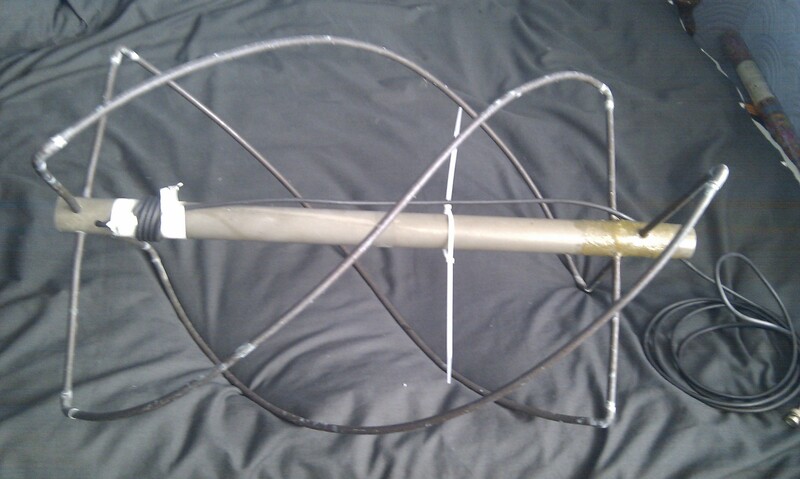 I am using a homebrew Quadrifilar Helix Antenna. It is up at about 15 metres above ground level. As always on my site, I am looking to do this with Linux (at the time of writing, Ubuntu 11.04 amd64). At the minute, the only Linux program I could find was WXtoimg. It has lots of options and as of yet, the best I’ve managed to decode is shown in the Results section, below. The command line arguments specify that the satellite is of the NOAA variety, travelling south and the file (named) should be converted into test_A.png with a sample rate of 44.1 kHz. The images I got were of low quality as the receiver I was using (Yaesu FT-857D) doesn’t have a wide enough FM passband. As a result, much of the quality is lost. 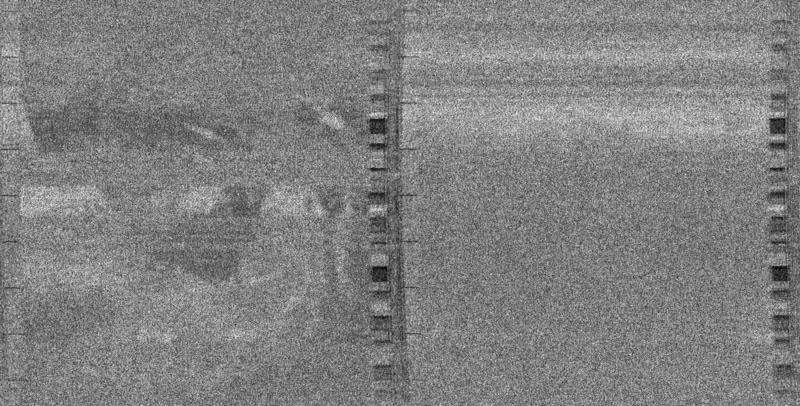 The signal strength was also only an S1 on the 1/4 wave vertical antenna, and so the images are understandably poor. These images are the second and third attempt. The first attempt was not worth showing. Nor are these really, but in want of something better and to fill the whole titled Results, here they are! 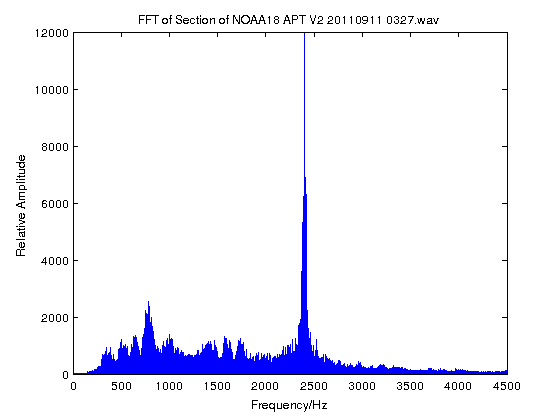 Out of curiosity, I wanted to see what the NOAA APT signal looked like in the frequency domain. A quick F-scaled FFT shows this. Note, this is only the range of frequencies that are received by the comms radio. The actual APT signal will be far wider than this! Here you can clearly see the 2400 Hz carrier. 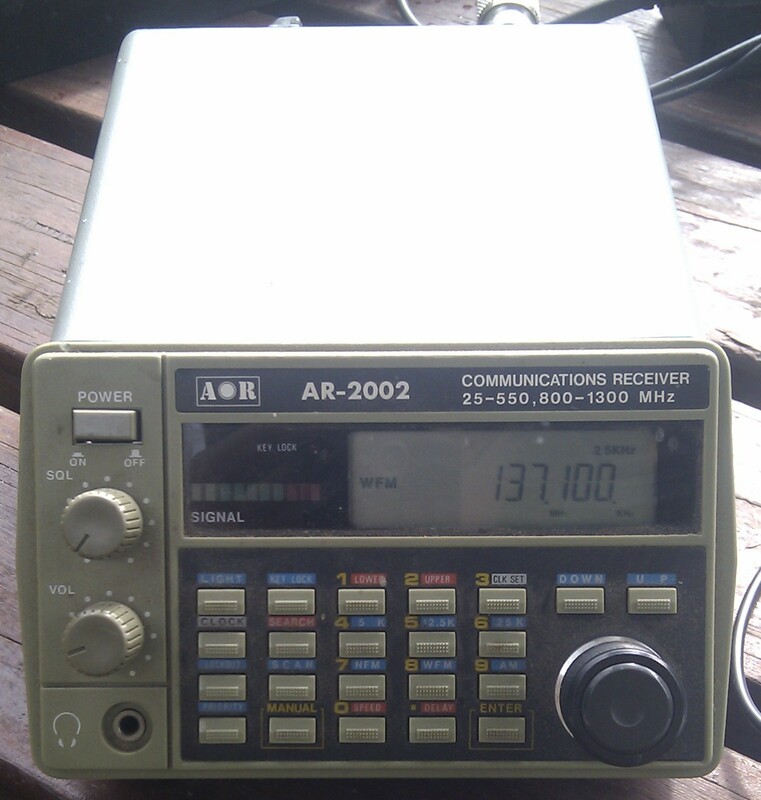 So after deciding that my main issue was the limited bandwidth of the FT-857D, I decided to give my AOR-2002 a go. It’s got a 25 kHz Wide-FM mode, so I figured that it would be a few steps closer to receiving better APT WX pictures. 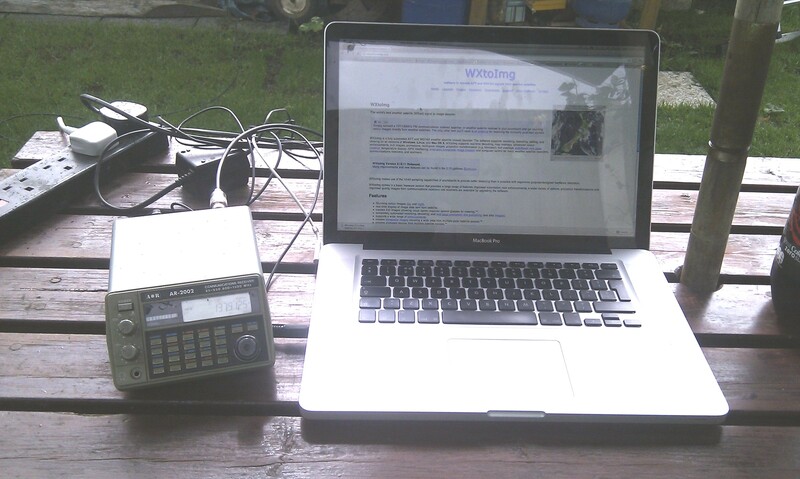 Taking the AOR-2002 receiver and my laptop into the garden, I connected up to the QFH antenna (see above). The gallery below shows some of the pictures received. Note, that they are noisy due to radio-paging break through. This is something the AOR-2002 suffers quite badly from.